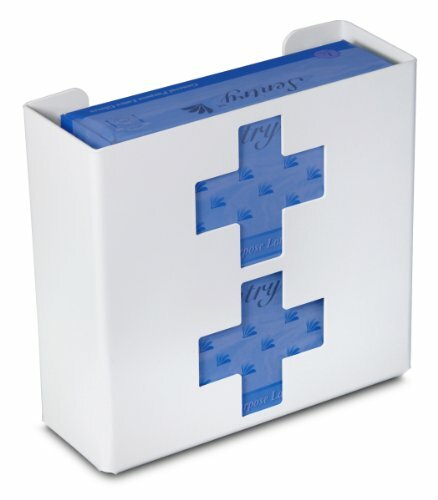 TrippNT's medical cross double glove box provides unique and fun glove storage. Sturdy white plastic construction. Universal fit for 1 standard size box of glove. Installs instantly with provided hardware and keyholes. Measures 11" width by 10" height by 4" depth; 1 pound weight. TrippNT manufactures storage products, dispensers, carts, workstations, and shields for scientific laboratory applications. The company, founded in 1993, is headquartered in Kansas City, MO.